Veuillez noter que la cueillettes des fourrures pour la région de MAURICE / BOIS FRANC a été annulé. 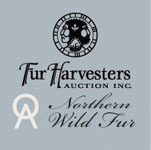 Fur Harvesters Auction Inc. (FHA), located in North Bay, Ontario CANADA is the source of the finest Wild Fur for the international fur fashion industry. FHA has gained international recognition and respect for its stellar assortment of unique and luxurious products. Fur brokers, wholesalers and manufacturers have consistently been satisfied with the extraordinary selection of Wild Fur available only in North Bay. The foundation of our company’s success is in providing exceptional personal attention to our customers’ individual requirements. We are ready to assist with everything from your travel and accommodation plans to exclusive company tours and personal one-on-one grading seminars prior to each scheduled auction. FHA’s premier selection of skins is graded to the highest professional standards, ensuring that you get exactly what you need in the quantities you require. 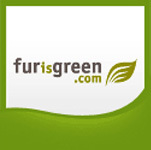 WILD FURFur Harvesters Auction Inc. provides trappers and fur dealers with a professionally managed fur auction house that sells your product to the world's fur manufacturers of China, Korea, Russia, Italy, Greece and several other manufacturing countries. RANCH FURFHA is proud to market excellent quality ranch fox. Whether it is Silver Fox or Mutation Fox, we are sure to have the product for you. TRAP SUPPLIES Trans Canada Trapline Co. is Canada's premier supplier of furbearer management and marketing equipment. PICKUP SERVICESFHA provides a wide collection service covering every Canadian province and most of the United States. 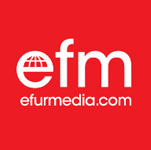 EDUCATIONFHA prides itself on promoting and enhancing Canada's oldest land based industry and offering the best possible service and fur products for the benefit of all.